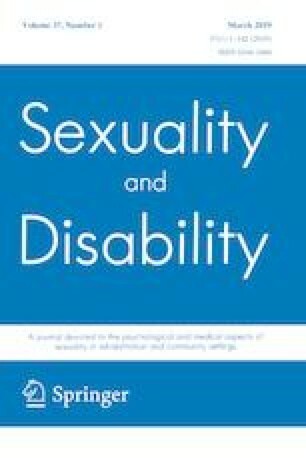 This article reports on the outcomes of a comprehensive review of qualitative research using the Joanna Briggs Institute (JBI) guidelines to guide a systematic approach addressing women with physical disabilities (WWPD)’s access to and utilization of maternal health care services in low and middle-income countries. The article specifically examines existing literature on the experiences and challenges facing WWPD in accessing and utilization of these services during pregnancy, childbirth and the post-natal period. Fifteen studies that met inclusion criteria were identified. Findings from the review highlight that pregnancy and motherhood are meaningful for WWPD in both individual and socio-cultural ways. Multiple challenges facing WWPD were identified, including low self-esteem and confidence, negative responses and lack of family support, problematic experiences of transport, health and other social systems for maternal healthcare of WWPD, and social unacceptance and discrimination from the community. Addressing barriers in accessing healthcare services was perceived as an individual responsibility of WWPD and their families, rather than perceptions that society had a responsibility to act. The reproductive rights of WWPD, particularly expression of sexuality and the right to motherhood needs to be conceptualized beyond individual responsibility. Society needs to eliminate attitudinal and environmental barriers to ensure WWPD can choose to be mothers without threat of discrimination or negative social consequences. The first author was supported by a Ph.D. scholarship from Queensland University of Technology. This review used qualitative data from published articles and research reports. Among 15 included studies, 11 studies mentioned that the studies got ethical approval, and four studies did not mention ethical approval.